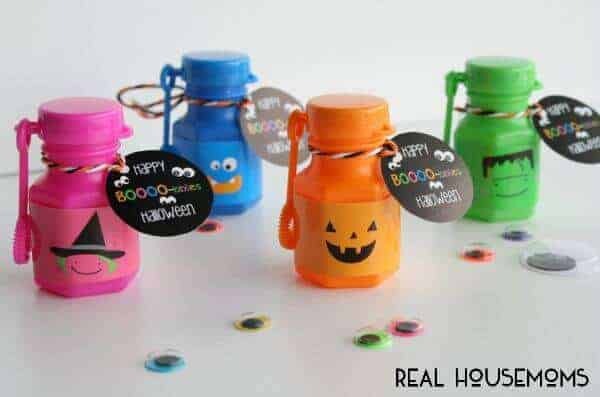 Non-candy Halloween treats have come a long way! 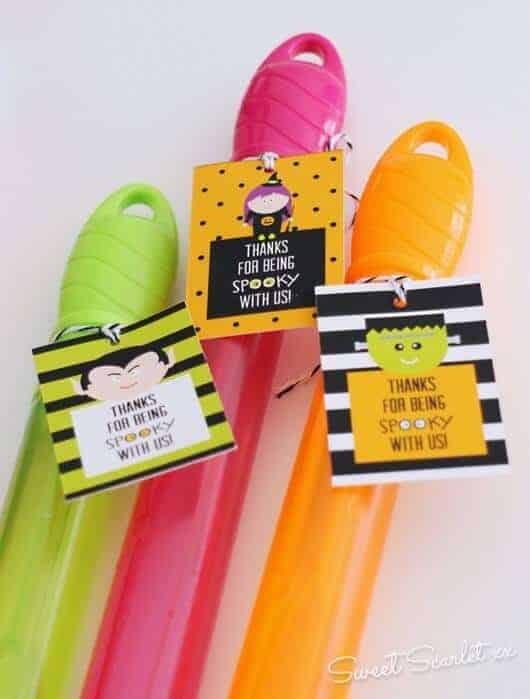 I think we can all agree that times have changed when it comes to the treats we give out for Halloween. 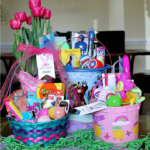 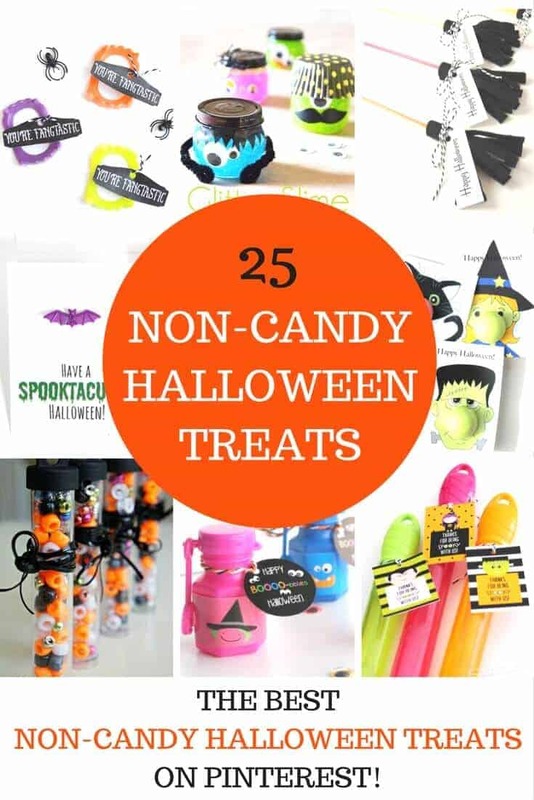 For kids with allergies or other issues, candy is not always an option, but I am so glad that there are folks out there who are providing alternate options. 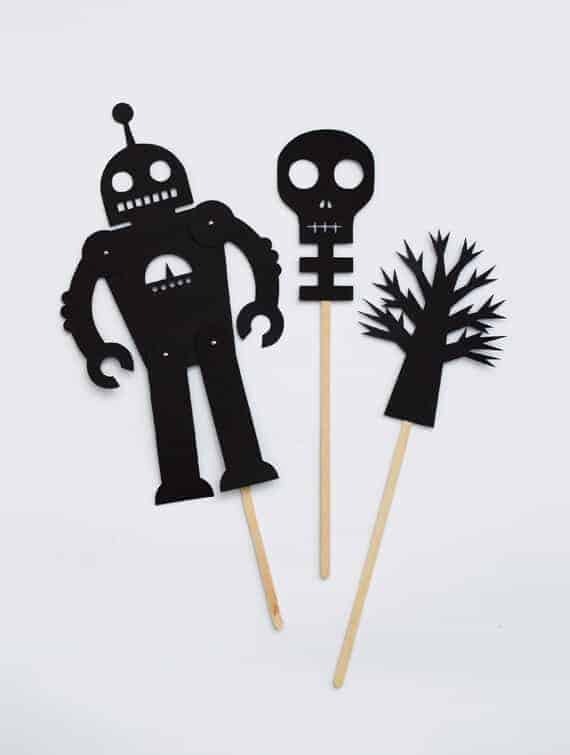 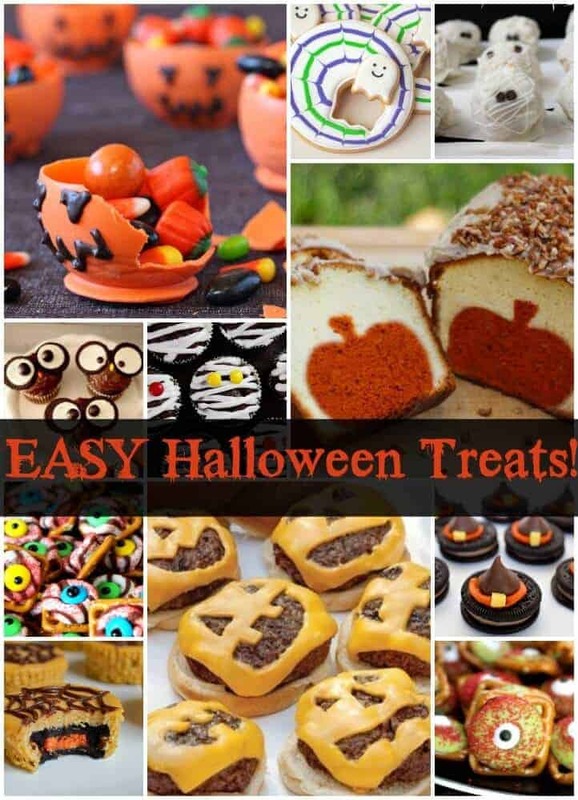 As always, the creativity out there amazes me and I headed over to Pinterest to share my favorite non-candy halloween treats. 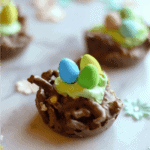 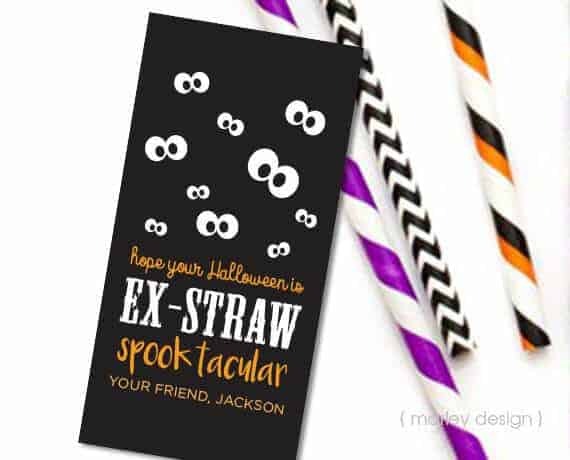 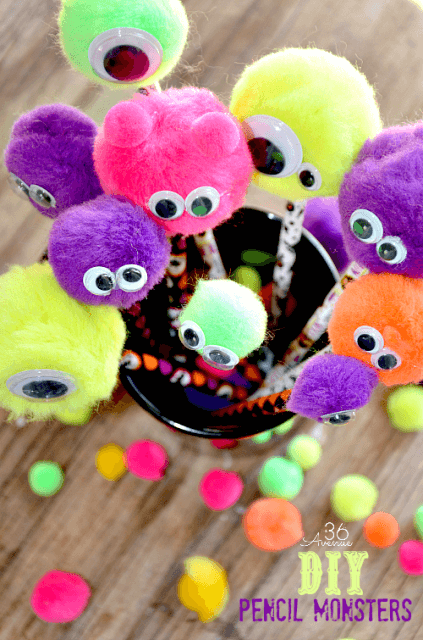 I hope you’ll consider making a few of these for your friends who are unable to enjoy candy on this super-fun holiday! 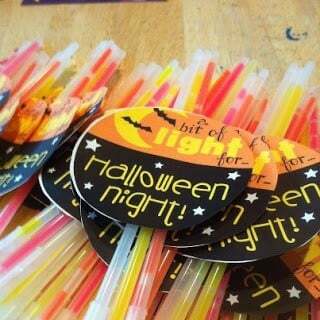 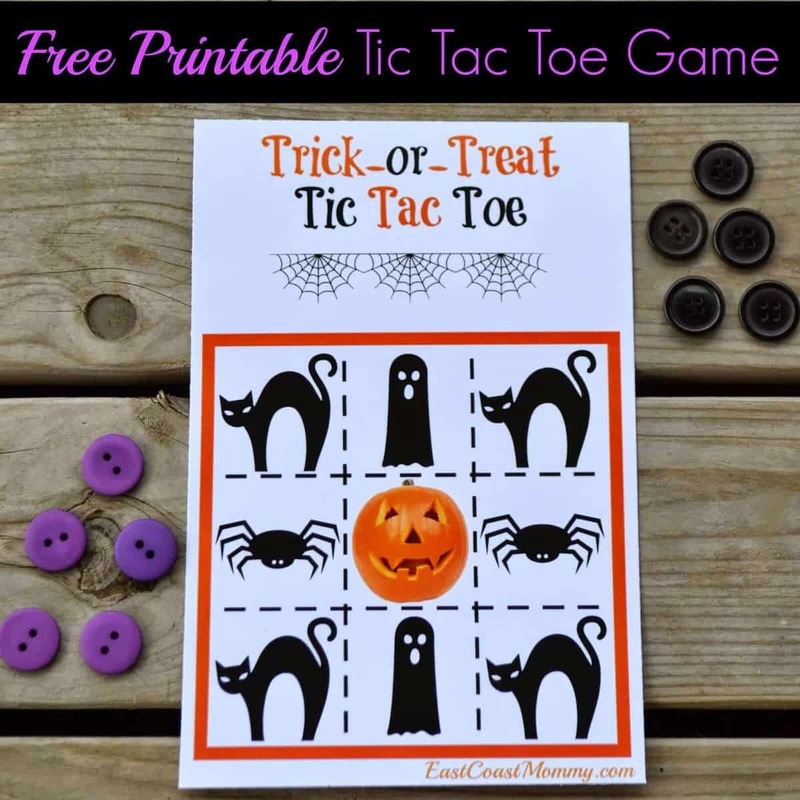 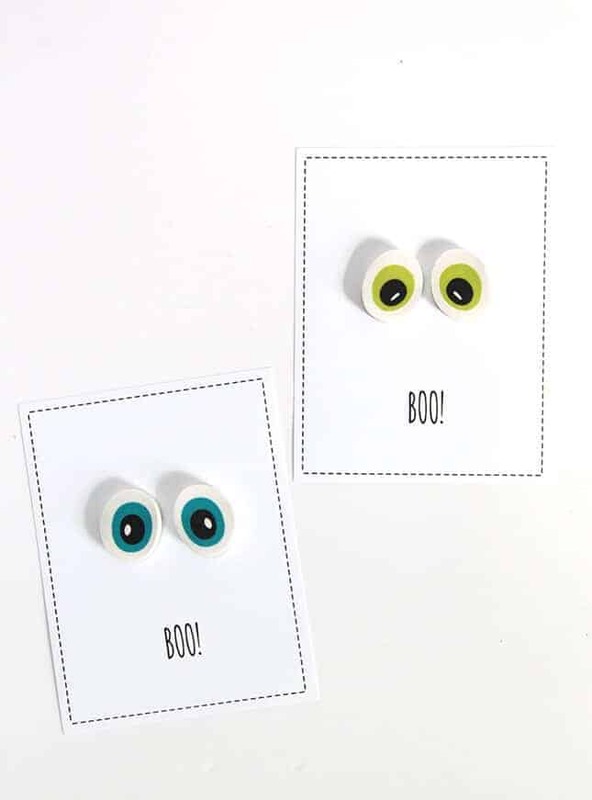 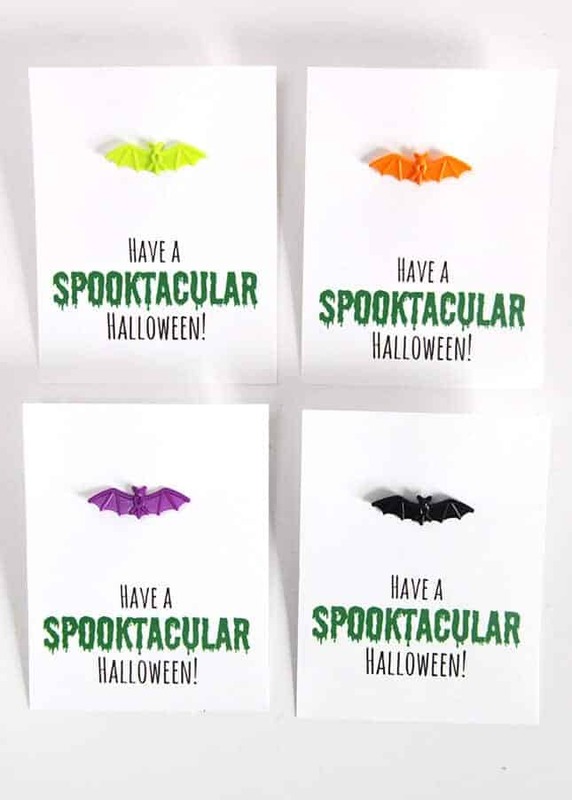 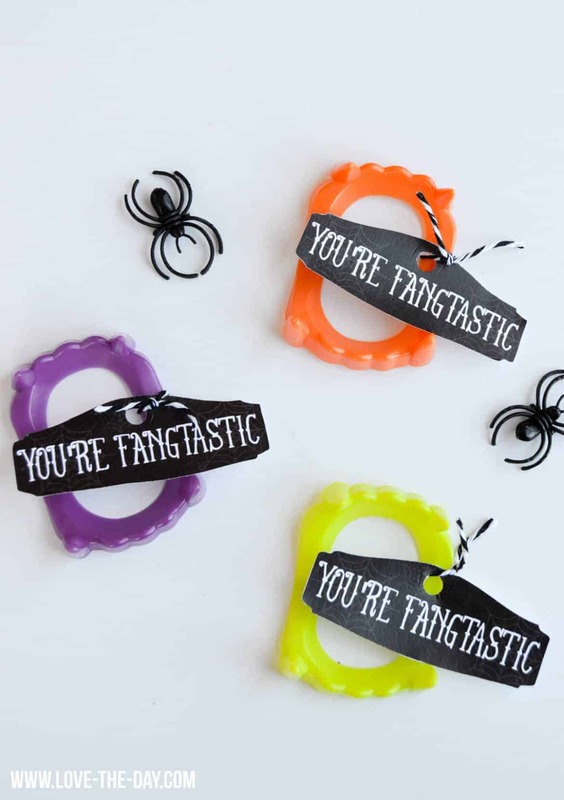 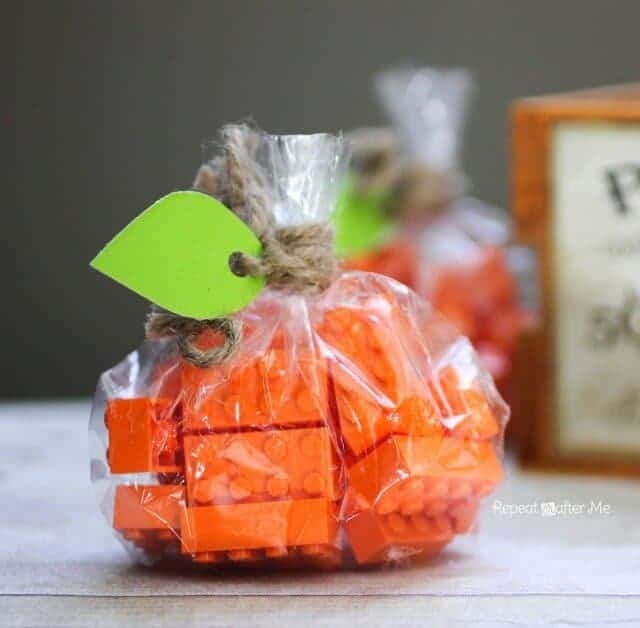 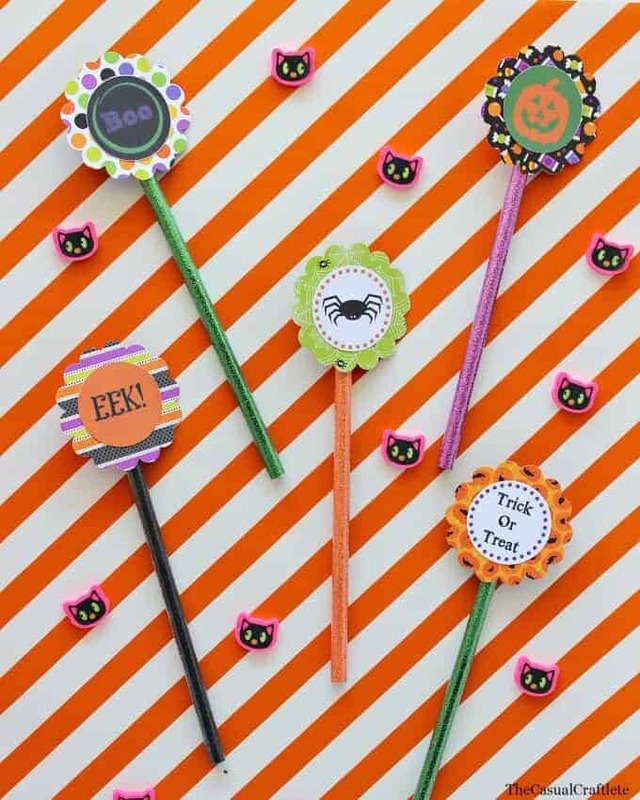 Booo-bles Free Printable Halloween Party Favor Tags by Spaceships and Laserbeams via Tatertots and Jello. 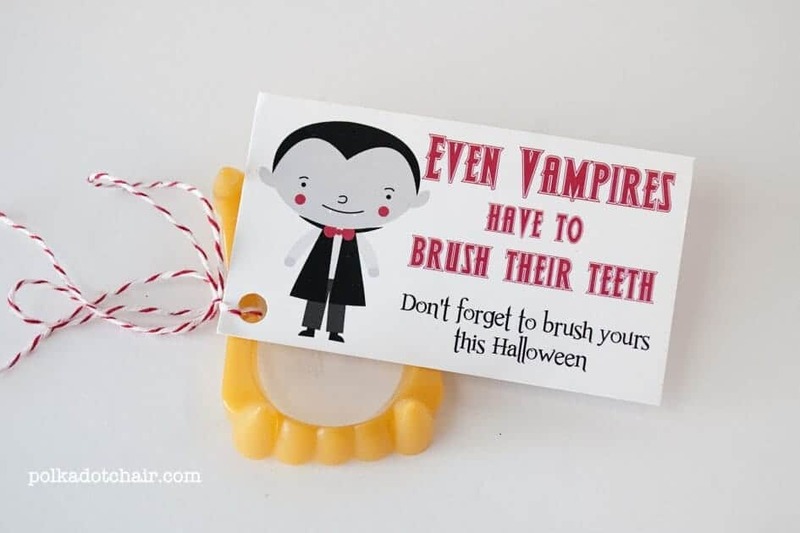 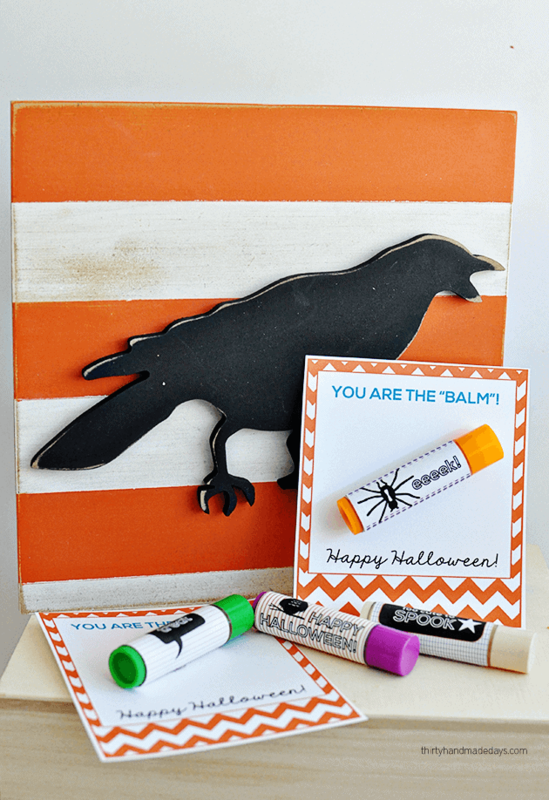 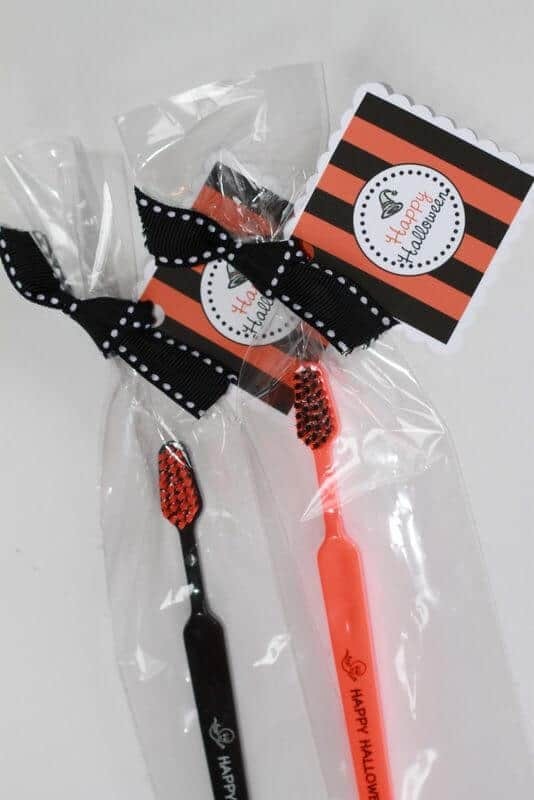 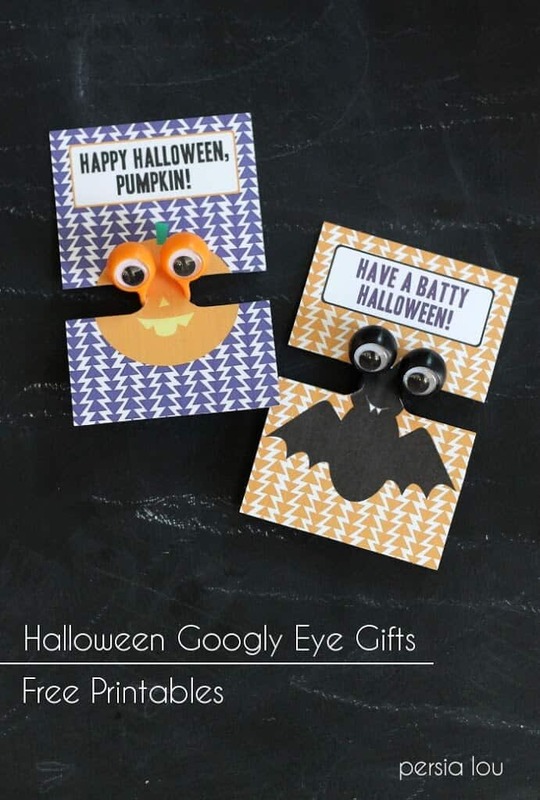 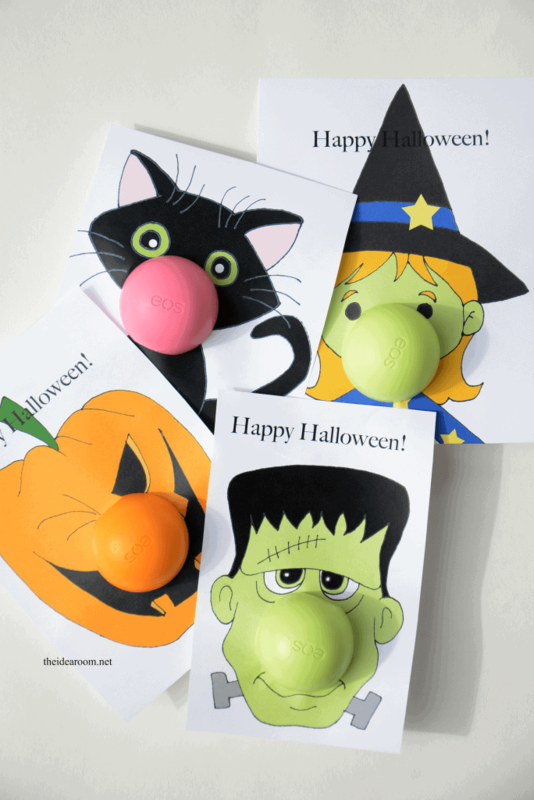 Free EOS Printable Halloween Gifts by The Idea Room. 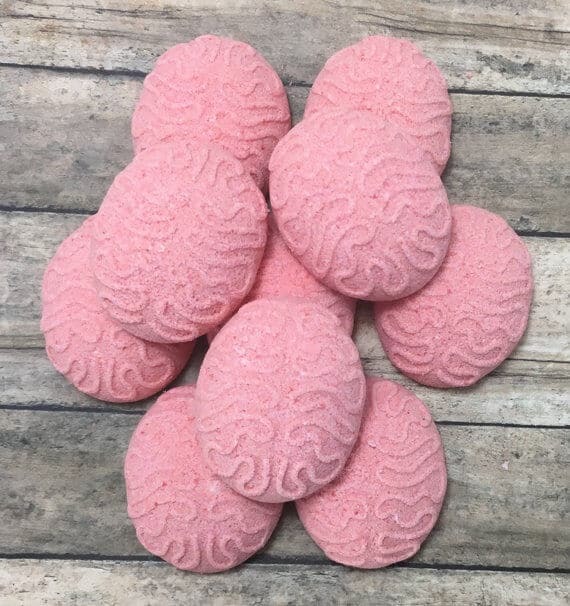 Brain Bath Bombs by Shimmering Suds on ETSY. 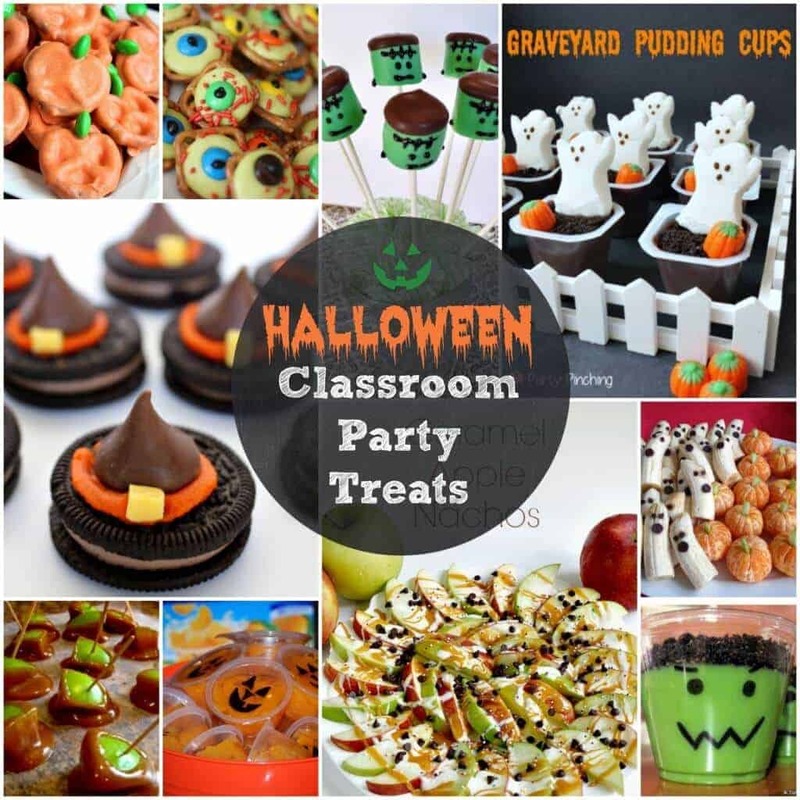 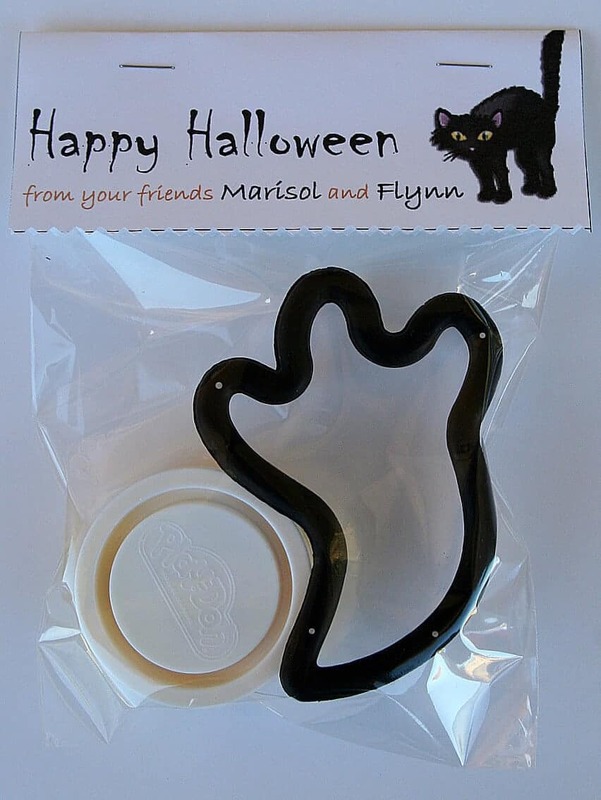 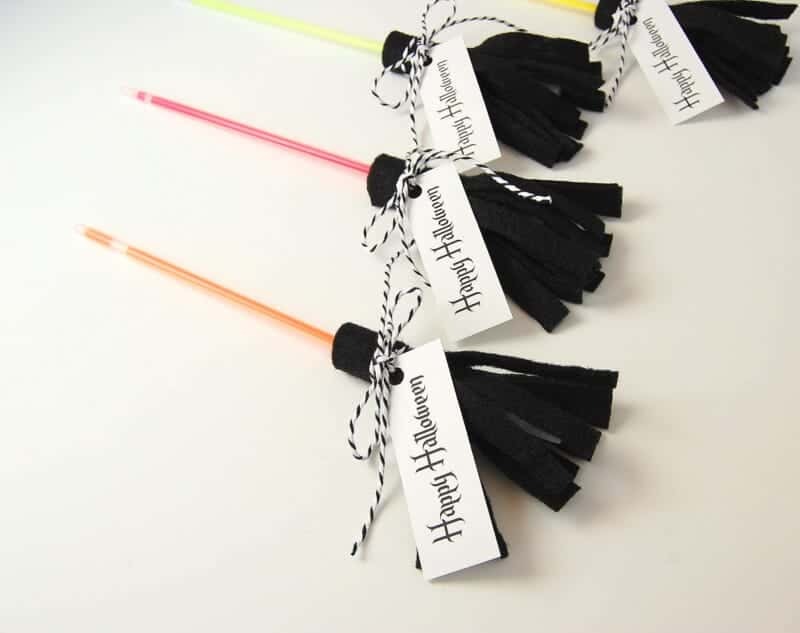 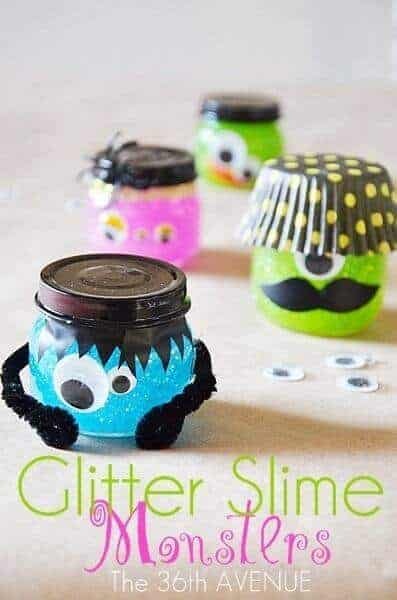 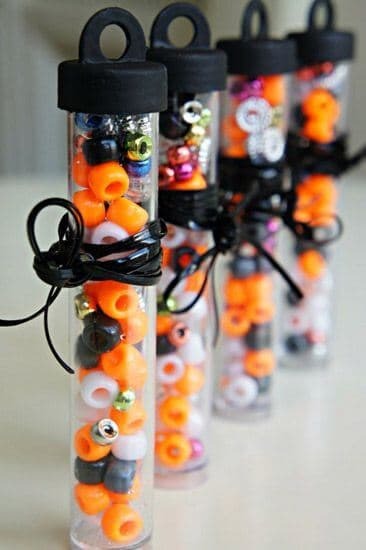 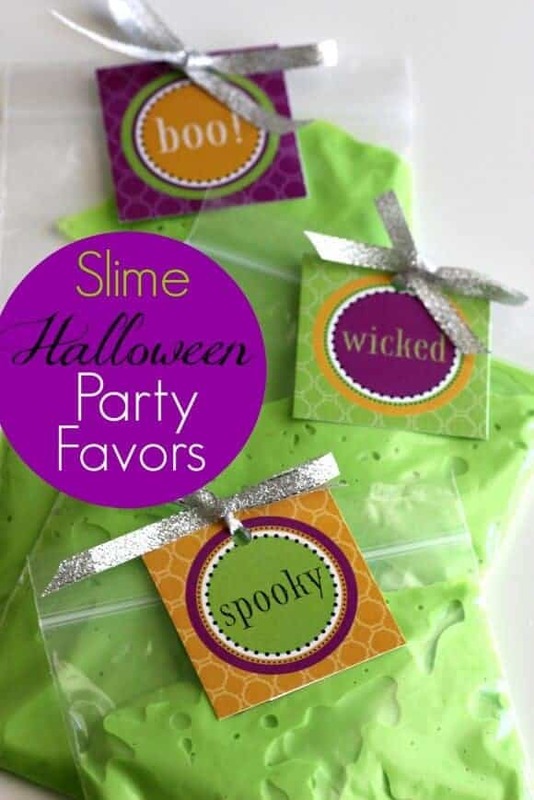 Halloween Slime Party Favors with Free Printables by Catch My Party.